The season, the temperature and the mood often play an important role in our desires in terms of drinking and eating. Which wine for which meal from first courses to desserts using the for cardinal points of the seasonal calendar? 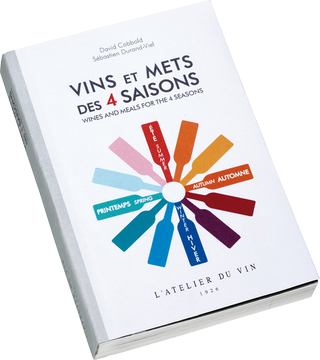 Wines and Meals for the 4 Seasons answers these questions in 53 essential matching tips, organised from first courses to desserts and using the four cardinal points of the seasonal calendar. 256 pages. Full text in English included. H 18cm x W 12cm.